My blogging bestie Sarah and I usually take each other's outfit photos when I'm home. 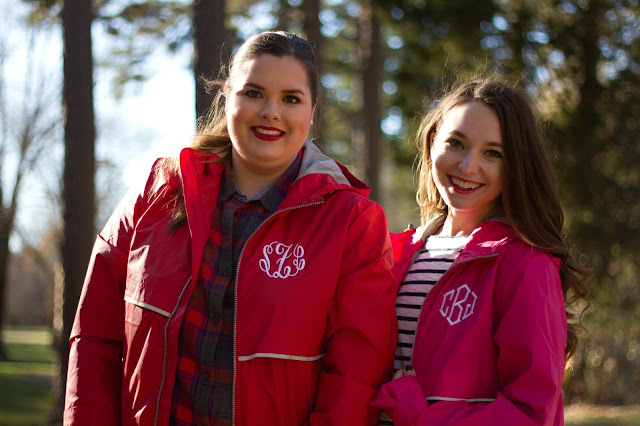 This time, we got together to do a post in our matching rain coats from Marley Lilly! We wouldn't normally wear them together, but it was fun for the sake of this post. 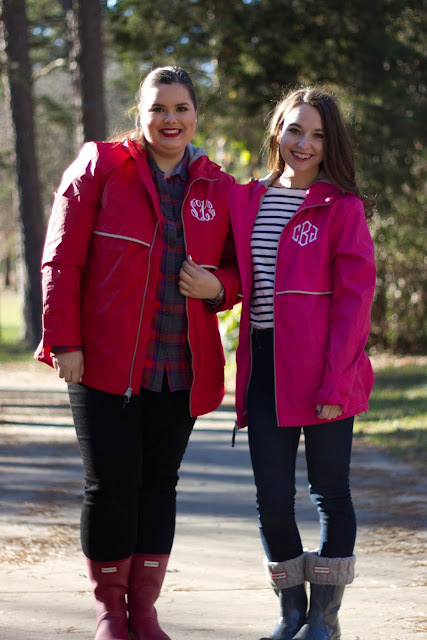 We were both sent the New England monogrammed rain coat, mine is pink to go with my pink Hunter boots, and Sarah's is red to go with her red Hunters. However, we took these photos while I was home for Thanksgiving and I had no room in my suitcase for my pink boots, so I wore my mom's gray Hunters instead. 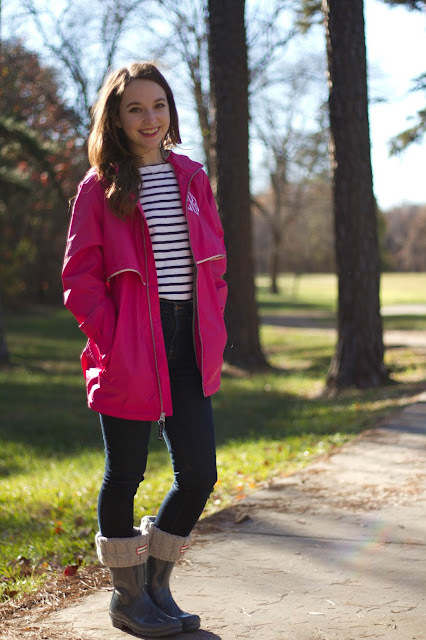 I love the white monogram on this rain coat, the hot pink color, and the flannel lined pockets. It's like having gloves on without really wearing any! The reflecting strips on it is nice too if you want to wear it to go walking or running in the dark. Its from the Charles River brand, which I've always liked. 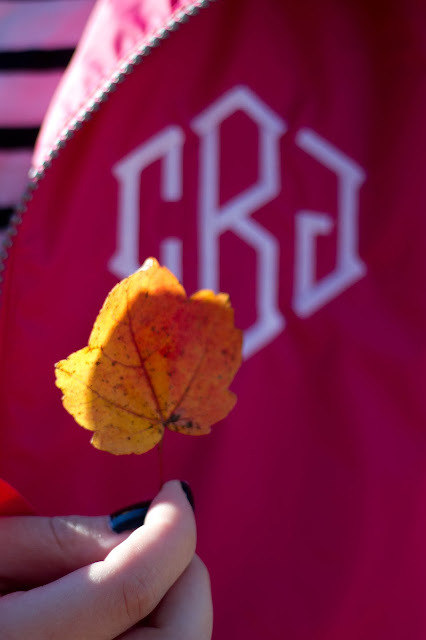 I have few jackets and sweatshirts from my school's bookstore from the same brand and they are always very nice quality. 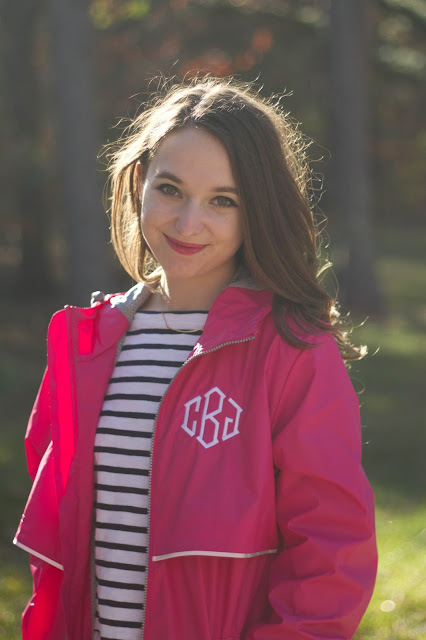 Having a nice raincoat is really great for college students. 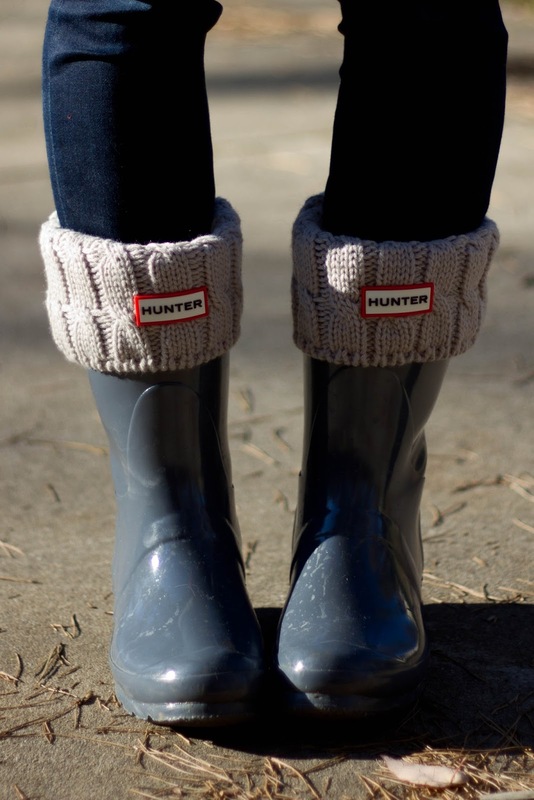 I've had a similar one to this one since freshman year that I've always appreciated walking across campus in the rain. However I'm wearing the smallest size, and it's quite long on me. But, when it's actually raining it's always good to have more of you covered by waterproof material. 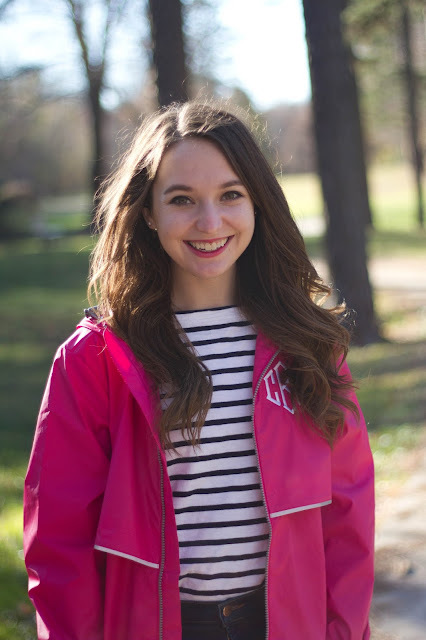 Don't forget to check out Sarah's post too!